Why Should You Hire a Skip? Your backyard is not looking pretty right now with all that waste piled up high. One thing you need to know, with all that waste out there, is that you are inviting a host of problems upon yourself. Whether you are summer cleaning or doing a DIY job, you cannot possibly store all that trash in cheap black plastic bags and wait around for hours to properly dispose them. Though, getting rid of all that waste that has been lying around in your house for years is a laborious process, you cannot just throw them out on the street for the local waste disposal to arrive and take care of it. There’s a proper method to it, which involves less labour on your part. By hiring a skip, you will be able to not only dispose the waste properly, you will also save a lot of money. If it’s general waste, soil and plastic, then it is better to bag them and place them in a row for more space. One of the best things about a skip is that it is available in various sizes. From 2 cubic yard to 16 cubic yard, the skips come in different styles too. There are some that can be rolled right on to the property for minimum property damage and some that are set on the property through a machine. There is also a range of 15 cubic yard to 40 cubic yard roll on roll of skips that are used for larger jobs. Most skips have a hinged door, which can be swung open to provide people ease when disposing the waste. You can walk into the skip and arrange the waste according to your needs. Say you accidentally calculate the wrong amount of waste you need to dispose and hired a small skip. The rear hinged door gives you the benefit of arranging the waste bags in proper place for optimum space. 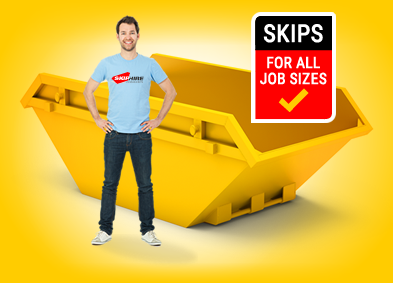 Skip hire service is more affordable than taking the waste to the landfill by yourself. Despite what people think, a skip costs around R200 to R1000, depending on the size you are hiring. Imagine taking the waste by yourself to the landfill, you would have to make dozens of trips back and forth, which can cost more than R500. Add in the extra amount you would have to pay for a car wash or the cost of repair if your seats get damaged or the exterior scratched. All in all, you are better off with a skip because it is more efficient and reliable. Most people do not have any idea on how waste should be disposed. A skip hire service employs professionals who have proper knowledge about, which material needs to be recycled and which one needs to be sent to the landfill. General waste and soil are the two most important wastes that need to be recycled properly. Many skip hire companies have access to dump yards and recycling depots, which allows them to properly dispose the waste without violating any laws. Most companies are able to recycle the waste 96%. You can keep the skip for as long as you want on your property. Companies usually hire out skips on weekly or monthly basis. This gives you the opportunity to organise the waste and decided what truly needs to be thrown out. Hiring a skip will definitely make the job and your life less strenuous. A skip service gives you the benefit of disposing the waste right from your doorstep. Whether you are hiring a skip for residential or commercial purpose, you will find a variety of sizes and designs that will help you to dispose waste easily. Our online service offers you the benefit of comparing skip hire service prices. For further information about how they can assist you in finding a reliable and affordable skip service, contact us today.